An excellent article written by Dr. Patel, et al was published in February, 2013, in the American Journal of Sports Medicine. 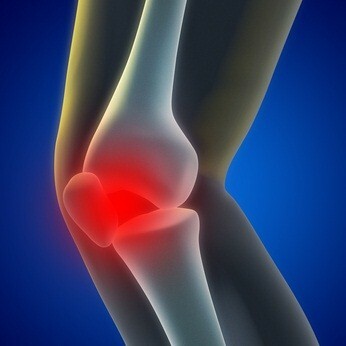 The doctors reported that PRP helped to reduce symptoms of osteoarthritis better than a placebo of saline water. The research study is an excellent design with level 1 based evidence. It is the first randomized, controlled trial comparing the treatment of osteoarthritis with PRP to placebo in the knee joint. Researchers had three groups of patients. Group A received one PRP injection, Group B received 2 injections of PRP and Group C received a saline injection. The study was blinded and randomized which means the patients were placed into Group A, B or C randomly and they did not know if they received the PRP or the placebo. The mean platelet count in the PRP patients was 238 x 107. There were no leukocytes in the PRP solution. The patients received the PRP or placebo injections at 6 weeks, 3 months and 6 months. WOMAC scores, VAS pain score and satisfaction results were recorded at baseline, 6 weeks, 3 months and 6 months. The results were no different in the patients that received one PRP injection versus two PRP injections. However when comparing the scores between PRP and placebo, the results were significantly improved with the PRP groups compared to the placebo group involving all 3 scores. Satisfaction scores were 64-67% for the PRP groups compared to 4% for the placebo group. In the placebo group 89% were unsatisfied with the results as compared to only 25% in the PRP groups. WOMAC scores improved over 50% as did VAS pain scores in the PRP groups compared to no significant change in the placebo group. The authors discussed that they believed that the PRP reduced pain and improved function from improved joint homeostasis, reducing synovial membrane hyperplasia and modulating the cytokines level thus leading to improvement in clinical outcome. They felt that the process of chondrogensis (when cartilage develops) is not possible over this brief period of time.